Join NCComicon and Magic Wheelchair as we make some magic at NC Comic Con Nov 9-11 2018 Bull City! NC Comicon guest Tamara Robertson will serve as Build Leader and host as we reveal several Magic Wheelchair costumes to some incredible local kids at the historic The Carolina Theatre of Durham! ATLANTA! 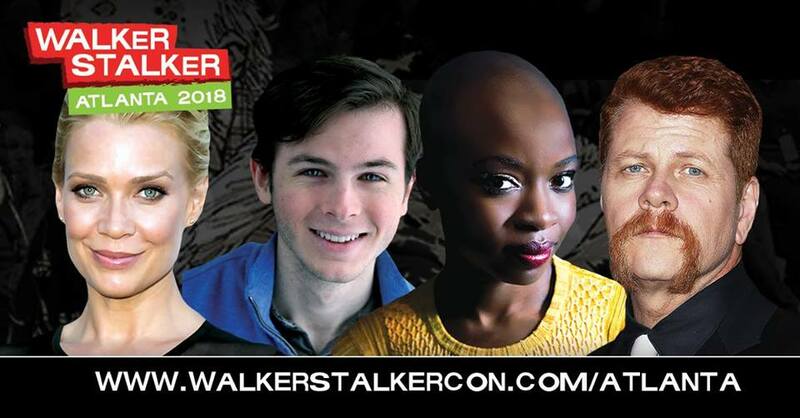 Walker Stalker Con returns for year six! The BIGGEST Zombie, Horror & Sci-Fi Convention in the world is bringing with your favorites from The Walking Dead & MORE! Get your Passes NOW! Rejoice in musical performances by Natti Vogel, Barton Stanley David, Paul Caron and Marieme Diop! Delight in the skill and artistry of Rebecca Scheckman as she creates works of art inspired by the 2018 NY Magic Wheelchair builds! Luxuriate in complimentary wine from Hudson-Chatham Wines, bread from Maison Kayser, and fruit and cheese from Agata and Valentina! Revel in the excitement of a silent auction* featuring classic jewelry, fine dining experiences and the utmost in high-end professional services! You may know that Magic Wheelchair makes absolutely epic wheelchair costumes for handicapped children at no cost to their families. What you may not know is that all of the costumes are made by volunteers and are paid for entirely by donations. Join us on the evening of September 14th to celebrate these fine musical and fine artists and to welcome the NY-based builders of Alexa's Bakeshop, Anthony's Buckbeak, Chase's Roblox Helicopter. We'd like to also be able to tell you about the secret build team of Aidan's Police Cruiser, but you'll just have to join us at NYPD Appreciation Night at Yankee Stadium on September 16th to find out who they are! Capacity is limited to sixty fortunate ticket holders whose $20 entry fee will go towards the cost of our NY-based Magic Wheelchair Builds and to help defray the cost of having the recipients attend New York's Village Halloween Parade where their Magic Wheelchairs will be revealed to them for the first time before 2 million spectators. Join us at our restaurant fundraiser to support Magic Wheelchair! Going to Rose City Comic Con? Get dinner afterwards — it's in the neighborhood! HUDSON VALLEY COMIC CON & RASCAL'S BIRTHDAY PARTY: YOU'RE INVITED! Ain't no party like Rascal's Superhero Birthday Party. Come kick it with Rascal and his superhero friends as he celebrates another year in the (comic) books. Contact the ticket office about a special Superhero ticket package for the kids. Go to hvrenegades.com, call 845-838-0094 or stop by the Emery & Webb Dutchess Stadium Box Office for more information or tickets. Magic Wheelchair's builder Cory Hunt has created a TIE Advanced Magic Wheelchair for Darth Xavier! Witness the MAGIC and Xavier's reaction as he sees it for the very first time. When: August 19, 2018, 11:45 am. * * * Magic Wheelchair is a nonprofit organization that builds epic costumes for kiddos in wheelchairs — at no cost to families. Wizard World is bringing comics, gaming, film and all pop culture to DES MOINESQ! We're reposting all of our announcements fro our page here so you don't miss them, along with special giveaways and maybe even a few other goodies - so make sure to RSVP and stay tuned! Our third event of 2018 is truly an "ood" one! The Ood are an amazing race of telepathic beings who were enslaved by the human race in the 42nd century. Thanks to the Doctor and Donna Noble, the circle was broken and the Ood were free to sing! This event celebrates one particularly brave and clever Ood...Ood Sigma! All participants will get this amazing 3" medal (the translator ball and Ood Sigma's eyes glow in the dark! ), custom satin ribbon, and the always popular custom digital bib. The suggested run date for this event is Sunday, 13 May. There's no fandom reason for this date, but it IS the day the #Master will be hosting a fun run in Minneapolis, Minnesota at the CONsole Room fan convention! This is just a fun suggestion...you are welcome to complete your 6k whenever you want! All medals will be mailed the week after registration closes. Don’t forget to get your event shirt! We know you love super-geeky mash-ups, so here's a hilarious one! "May the Oods be ever in your favor" is just plain awesome geekiness! Sign up today and let's give some kids some pure joy! !